Top 11 New Orleans Cycling Destinations | Experience New Orleans! New Orleans is ranked among the top 50 cities for cycling in the US. 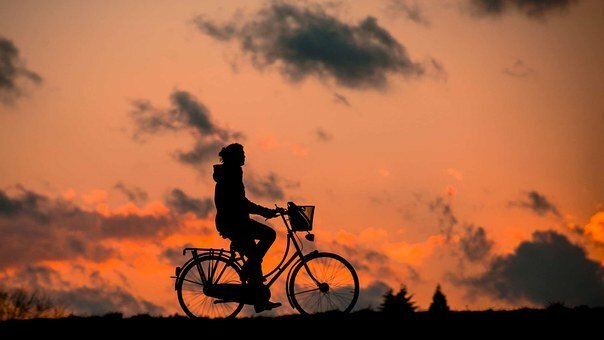 It is also among the cities with highest number of cyclists with over 10% of the population commuting to work on bikes. There are numerous trails as well as competitive and non-competitive cycling events throughout the year. Here is a list of top places to cycle in New Orleans. You'll find the routes are both safe and fun to ride. Whether you a re looking for an all-day cycling trip route or short routes, there are numerous trails to choose from. For the most part, the terrain at New Orleans is flat making it ideal for leisure riding whether alone or with family. Located near Tulane University, the Audubon Park Trail loops two miles around the park's scenic route. If you love live oaks, this is the path for you. This trail begins at the end of Carrollton Avenue heading towards Kenner. The terrain is relatively simple making it ideal for amateur and beginner cyclists. The path is exclusively a biking path. This route allows you to enjoy a beautiful view of the city as well as the numerous social amenities in New Orleans. At City Park, you can stop at the New Orleans Museum of Art or take the Festival Grounds Trail that takes you around a small lake located on the eastern side of the park. 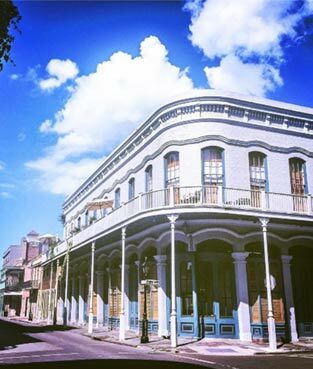 If you are looking to get a feel of the streets, a route around the French Quarter’s long streets will give you a taste of the New Orleans streets. You can take Dauphine street from the Canal and zigzag along with other pedestrians on Bourbon Street. The Algiers Trail follows the river from the opposite side of the Mississippi River Trail. The route starts at the Algiers Ferry at the end of Canal Street and heads south along the Mississippi River. At New Orleans City Park, you can do much more than just ride. There is an amusement park, paddle boats and Putt Putt to be enjoyed if you are looking to take a biking trip that incorporates other activities. The magnificent oaks provide plenty of shade to shield you from excess heat when riding. There are numerous paths within the park for riding. This is an ideal location for riding with your family and friends or you can even bring your dog along for the ride. The trees offer plenty of shade and there is enough open space for cycling as well as hanging out with friends and family. Crescent Park is a 1.4-mile recreational corridor that borders the Mississippi river. It has numerous bike trails as well as hiking trails and picnic areas. The biking trails cover Faubourg Marigny and the trendy Bywater neighborhood. If you are looking for more activities to add to your biking adventure, the park also houses several restaurants, clubs and shops. A ride along St Charles Avenue will take you through one of New Orleans most popular and busy neighborhoods. Experience the bustling Arts District and Garden District along the New Orleans Streetcar line covering up to 5 miles. The Lafitte Greenway trail is about 2.6 miles long. It links Treme to Lakeview. The route has a bike trail that links Armstrong Park to City Park. This is a popular long distance biking trail in New Orleans that covers 15 miles. Many riders prefer it as it is traffic free. Since it is a waterfront path, it offers a scenic view of the lake and there are plenty of seafood restaurants, picnic sites and fishing spots along the way. There are numerous shops to rent or buy bikes and biking gear in New Orleans if you don’t have it with you. Start shopping at bestmtbgear.com.